Matt presented preliminary data from his M.S. thesis on herring gull foraging ecology at the 6th Biannual Nantucket Biodiversity Initiative (NBI) Conference on Nantucket, Massachussets on November 4. 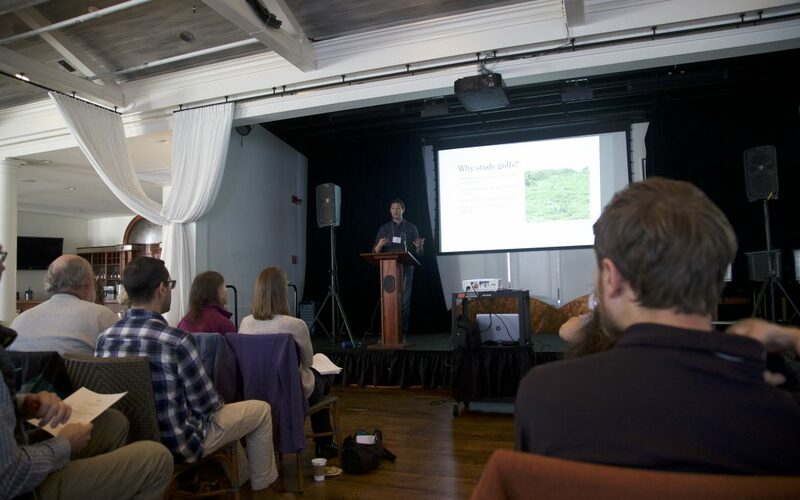 The NBI conference brings together biologists and naturalists working on research at Nantucket, Tuckernuck Island, Muskeget Island, and in surrounding waters. Tuckernuck is one of Matt’s field sites, so this small conference was a great way to share his findings with the local research community and learn about other work being conducted in the area. Matt’s presentation discussed colony and individual-level differences in gull foraging ecology that were observed between colonies at his three field sites (Tuckernuck, Jamaica Bay in New York City and Stony Brook on Long Island, New York).